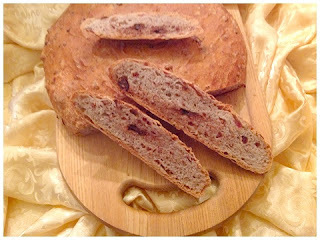 Please leave a link to your No-Knead Chocolate Cherry Pecan Bread post by clicking on the "Add your link" button below. Please feel free to leave questions, comments and/or thoughts about this month's recipe in the comment section of this post. 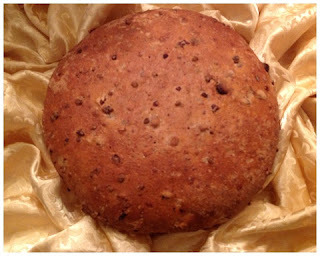 FatimaZahra, who currently doesn't have a blog, has baked along with us and sent me these pictures of her No-Knead bread. She said her family loved it. Great job, FatimaZahra! I plan on baking this, but I will be late with my post. Hopefully I will have a loaf on Wednesday to blog about! Thanks for the FYI. I will be a bit late in my post as well. It will be up tomorrow. Your loaf is looking great! I cannot stop eating this loaf! so good! Have a great week!